The Science Framework for Conservation and Restoration of the Sagebrush Biome: Linking the Department of the Interior’s Integrated Rangeland Fire Management Strategy to Long-Term Strategic Conservation Actions provides a multiscale approach for prioritizing areas for management and determining effective management strategies within the sagebrush biome. Decision tools are discussed for determining appropriate management actions for areas that are prioritized for management. 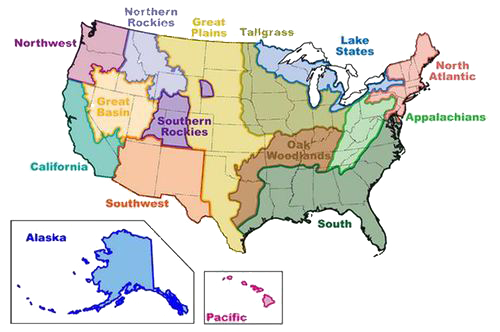 Geospatial data, maps, and models are provided through the U.S. Geological Survey (USGS) ScienceBase and Bureau of Land Management (BLM) Landscape Approach Data Portal. The Science Framework is intended to be adaptive and will be updated as additional data become available on other values and species at risk. It is anticipated that the Science Framework will be widely used to: (1) inform emerging strategies to conserve sagebrush ecosystems, sagebrush dependent species, and human uses of the sagebrush system, and (2) assist managers in prioritizing and planning on-the-ground restoration and mitigation actions across the sagebrush biome.